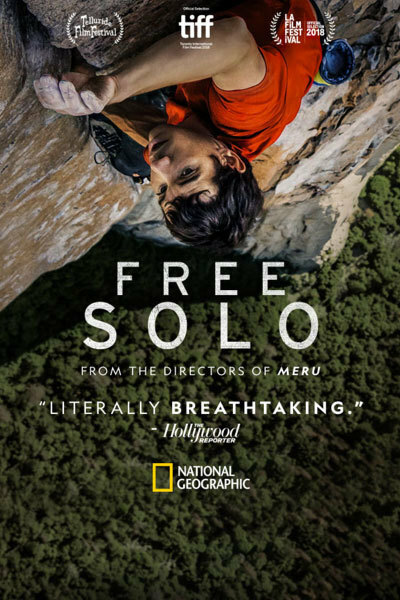 Follow Alex Honnold as he becomes the first person to ever free solo climb the 3,000ft high El Capitan Wall in Yosemite National Park, a 900m vertiginous, vertical rock face. A climb he did with no ropes or safety gear. Arguably the greatest feat in rock climbing history. This is a visually staggering telling of the endeavour from National Geographic. Academy Award for Best Documentary Feature.